The cron daemon is a background process that runs particular programs at particular times. Not in cron format. 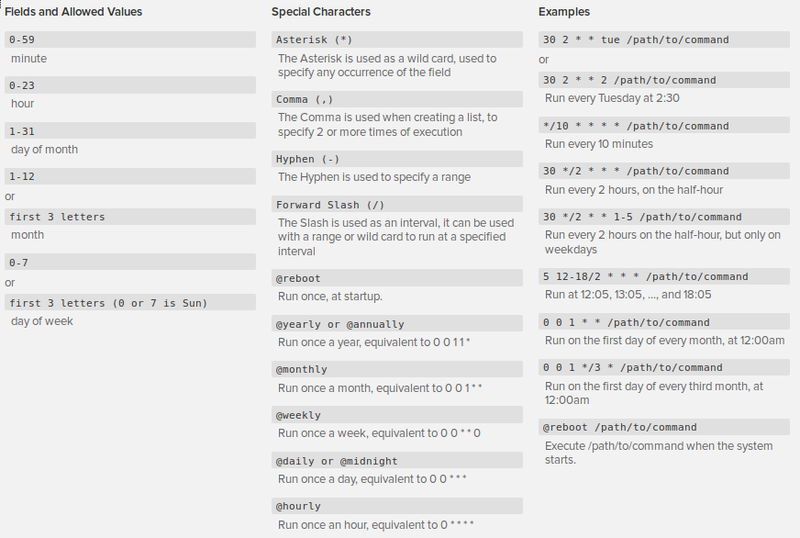 These are scripts that run once a dail, hour, etc. if both cron.allow and cron.deny files exist the cron.deny is ignored. at HH:MM If that time is already past, the next day is assumed.